Phoebe Starbuck has always adjusted her sails and rudder to the whims of her father. Now, for the first time, she’s doing what she wants to do: marrying Captain Phineas Foulger and sailing far away from Nantucket. As she leaves on her grand adventure, her father gives her two gifts, both of which Phoebe sees little need for. The first is an old sheepskin journal from Great Mary, her highly revered great-grandmother. The other is a “minder” on the whaling ship in the form of cooper Matthew Mitchell, a man whom she loathes. Soon Phoebe discovers that life at sea is no easier than life on land. Lonely, seasick, and disillusioned, she turns the pages of Great Mary’s journal and finds herself drawn into the life of this noble woman. To Phoebe’s shock, her great-grandmother has left a secret behind that carries repercussions for everyone aboard the ship, especially her husband the captain and her shadow the cooper. This story within a story catapults Phoebe into seeing her life in an entirely new way—just in time. 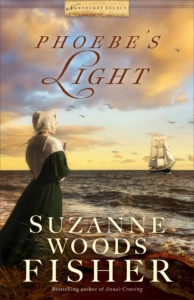 In this brand-new series, bestselling author Suzanne Woods Fisher brings her signature twists and turns to bear on a fascinating new faith community: the Quakers of colonial-era Nantucket Island. I am a long-time fan of Suzanne Woods Fisher's books so it was with pleasure that I received this book in return for an honest review from Celebrate Lit. Phoebe's Light is a departure from Suzanne's beloved Amish Fiction, so I was curious how this transition would be for me as a reader. I have to say that Phoebe's Light is a wonderful book that will captivate Suzanne's fans worldwide. Be prepared to be transported to Nantucket Island. Within the community Phoebe Starbuck lives, women worked hard to keep the home fires stirring while their seafaring men were off on the whaling ships. Life was hard for those left behind without knowing when or if their husbands and sons would return. It was because of this the women started small businesses along what became Petticoat Row to help support their families and to fulfill the needs of their neighbors. I was intrigued by the hand written entries Phoebe read from Mary's Journal and curious about why it was so important. Life captured on aged pages in the journal were much more than an account of a young woman's day to life on a secluded island. The reader will have to discover its worth on their own lest I spoil the plot. 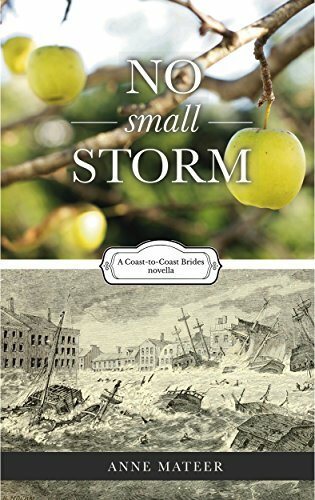 I learned many things about the Quakers in this novel and look forward to the next book in this series. The little teaser at the end of the book wasn't nearly enough! Time after time, Suzanne Woods Fisher's work is impeccable. Since I am a history buff I love the extra efforts she makes bringing these periods alive through people. We tend to forget that they had lives and loves...just like us. A Stroll down Petticoat Row Thirty years ago, I talked my sister into going on a trip to Nantucket Island. It’s one of those places that had always intrigued me. As a girl in the 1930s, my mother’s family vacationed in Nantucket; she even has a lightship basket to show for it. I expected the island to be interesting and beautiful, and it certainly did not disappoint. But something else happened as I walked down Centre Street one morning. This island captured my imagination in a way that’s hard to put into words. At the risk of sounding a tiny bit sun touched, I could practically see 19th century people on the roads, hear the “thee’s and thou’s” in their speech, even smell the strong scents of a bygone century—the musky perfume of rendered whale oil, the burning wood of the blacksmith, all mingled with the bracing sea air. Centre Street has a local nickname: Petticoat Row. It comes from the 1800s, when men were at sea for long periods and women stepped into their shoes to keep businesses going. Nantucket women gained a reputation for being strong and capable. Their competence was encouraged by the Society of Friends (Quakers), the island’s dominant religion, which believed in the equality of men and women in all aspects of life. That hasn’t changed. Today, half of all Nantucket businesses are run by women. Petticoat Row stuck in my mind, and eventually became the hook to contract a series of historical fiction with Revell Books. The ‘Nantucket Legacy’ series covers the rise and fall of Nantucket’s whaling period, when it became the wealthiest port in the world. First up is Phoebe’s Light, releasing in February 2018, a novel about a spirited young woman who seeks her fortune only to find out she already had it. After reading about Phoebe, I hope you’ll consider planning a trip to Nantucket (though try to go off-season. The population swells five times in the summer!). When you go, include a stop at the Petticoat Row Bakery (35 Centre Street)—the very location where Phoebe grew up, albeit a few centuries ago. Don’t leave the island without trying the Morning Glory Muffins, an island favorite. So worth the trip! Nantucket’s Famous Morning Glory Muffins Ingredients: 1 ¼ cup sugar 2 ¼ cup flour 1 tablespoon cinnamon 2 tsp baking soda ½ tsp salt ½ cup shredded coconut ½ cup raisins 2 cup grated carrots (4 large) 1 apple, shredded 8 oz. crushed pineapple, drained ½ cup pecans or walnuts 3 eggs 1 cup vegetable oil 1 tsp vanilla Instructions: Sift together sugar, flour, cinnamon, baking soda, and salt into a large bowl. Add the fruit, carrots and nuts and stir to combine. In a separate bowl, whisk eggs with oil and vanilla. Combine with dry ingredients and blend well. 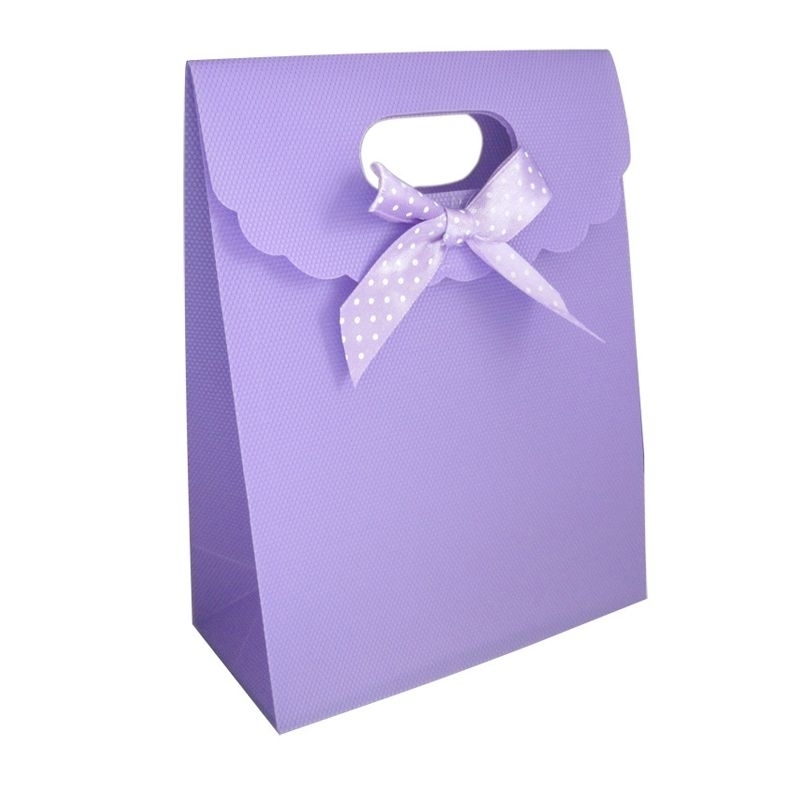 Spoon batter into cupcake tins lined with muffin papers. Fill each cup to the brim. Bake in a preheated 350 degree oven for 35-40 minutes. These muffins needs 24 hours to ripen their full flavor. They freeze extremely well. 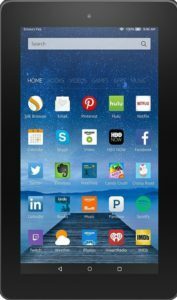 No Small Storm Plus A Giveaway! Fresh off a boat from Ireland with his four-year-old son intow, Simon Brennan secures a building in which to ply his trade as a cobbler. Still healing from the grief of his wife’s death a year earlier, he determines to focus only on providing a good life for his son. But when he intervenes in an argument on behalf of the intriguing Miss Wilkins, sister-in-law of the tavern owner who befriends him, he suddenly finds himself crossways with his landlord, Mr. Lott, and relieved of his lease and most of his money. I enjoyed reading Mem's story. She was a woman who portrayed herself a little differently than what her heart desired. To the world she was an independent woman of means considering her father left her the family farm and apple orchard. The apples would stand her in good stead for winter, once the crop was picked and sold to the market. Within her heart, she was lonely after being jilted by a man she thought would be her husband. It was her independent streak that caused her to rebuff Mr. Lott's attention. I think she had a good sense of judgment in that man's regard. That he had a friendship with her father or not, he was not the man for her no matter how many times her offered his assistance or promises to take care of her. Mem was not buying his bill of goods. Mem was not only a lovely independent woman but a valued family member who could be counted on whether to help with her nieces or wait tables at her sister and brother-in-law's inn. It was while helping out at the inn that Mem truly saw Mr. Lott's true character. Simon's story could have been any number of my distant relatives who came to America from Ireland looking for a better life. Simon was a skilled cobbler using skills honed through generations. His misfortune was renting a building from Mr. Lott, a man who seemed to have his finger in many pies around town. Woe is the man who crosses the likes of Mr. Lott. I am happy to be part of Celebrate Lit's blog tour, and received an advance reader copy for my honest review. 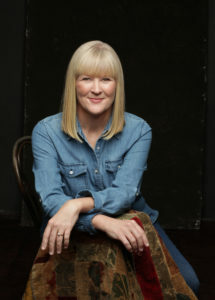 Anne Mateer is an author whose books I enjoy reading. Her research is meticulous and her characters come alive. It took a storm blowing into town to put things into real perspective for Mem and Simon and their story is worth reading. This storm, as the title implies was no small storm! I recommend this novella with no hesitation. I’m always up for a good historical story. It’s what I enjoy reading. It’s what I enjoy writing. But I find that my pleasure in any historical fiction increases exponentially when the story at hand is based on at least a kernel of historical fact. All four of my full-length novels share this trait. 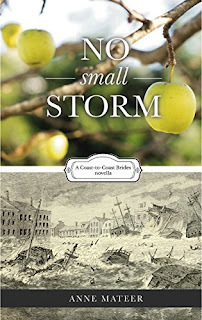 So it stood to reason that when turning my mind to a historical novella I would seek the same grounding in truth I’ve sought before.So what historical fact inspired No Small Storm? It was a combination of them, actually. Which I think always makes for the best tales! 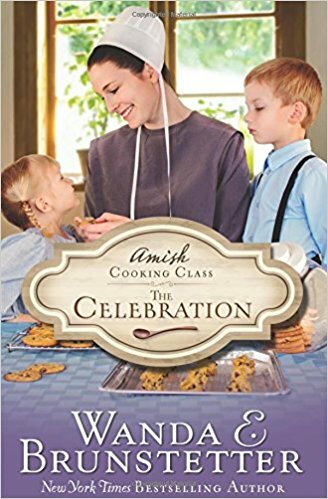 Wanda Brunstetter's popular Amish Cooking Class series readers can now enjoy Amish Cooking Class The Celebration. I have enjoyed this series. Wanda Brunstetter has brought Heidi Troyer to life between the pages of these books. Heidi is the woman you want to sit down with a cup of coffee and share your heart. She is unselfish and possesses that quiet patience that you wish you could tap into. She has plenty of her own burdens yet seems to accept those she doesn't understand. 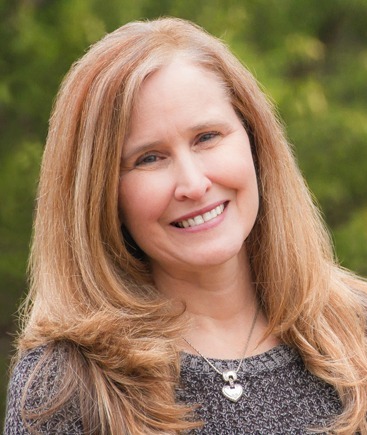 Her faith is strong and after she writes out the recipes for her cooking classes she prayerfully writes a verse of scripture on the back of each card. As she does so, she prays that the verse will touch someone in her class. Heidi and her husband Lyle are foster parents to Marsha and Randy, who lost their parents in an accident. They come to realize that the love they have for the children is as trues as if they were their own flesh and blood. As they seek adoption, the cooking class begins and with the new students, it brings people together as only Heidi Troyer can. Each student brings not only their own special needs but those of the parents who can't seem to just drop off their kids to learn on their own. Heidi's quiet ways have a ripple effect beyond her kitchen. Wanda Brunstetter has a knack for writing about human nature. This book captures the importance of family, no matter what it looks like. From the darkest of times many blessings can come and families can become stronger. In our world, it is a blessing to see how faith can change people who may otherwise have been overlooked and unloved. I heartily recommend Amish Cooking Class - The Celebration, a truly heartwarming story.